Rick Swantner owns a branch of Goosehead Insurance located in Katy, Texas. Rick and the Goosehead team help clients all over Texas find the best insurance coverage at competitive prices by shopping over 20 A rated carriers on their behalf. With the latest technology and 100% licensed customer support team, your service requests are promptly serviced by the best in the business. 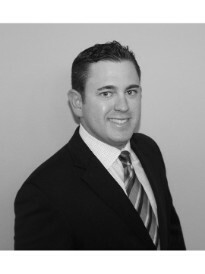 Prior to joining Goosehead, Rick was a senior manager in the energy consulting industry in Houston for 10 years. Rick graduated from The University of Texas at Austin with BBA in Finance. In his spare time he enjoys hunting, fishing, golfing, and spending time with his wife Kristin, and two children Brock and Jackson. Rick and his family currently reside in Fulshear, Texas.